ShareAlarmPro – Advanced Network Tool for Network Access Control, File and Folder Monitoring! 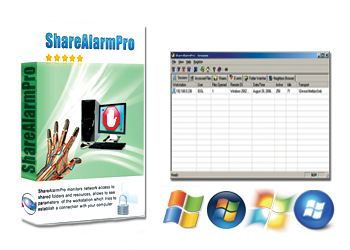 ShareAlarmPro is a network tool for files and folders monitoring, for blocking unwanted users attempting to access secured shares and confidential files over network, for detecting changed files and folders. RemShutdown – Network tool for Shutdown or Restart Network Computers Remotely! NetworkSleuth – Network tool to find your files across a Network !